Multilevel marketing clothing company LuLaRoe has had a rough few months. In addition to the quality problems, returns and exchanges are often impossible depending on which of the 80,000 independent “fashion retailers” sold you the leggings. So yeah, I’d feel bad for LuLaRoe if it were not for all that. Well, about a month after customers filed the latest class-action lawsuit against the billion-dollar company, LuLaRoe is ready to “make good” by updating its return policy. If you’ve got a pair of ripped leggings — whether the holes are tiny enough to overlook or large enough to put your unmentionables on display — you may be able to get a full refund soon. Here’s what you have to do. Be warned — it’s a process. If you bought LuLaRoe leggings between Jan. 1, 2016 and April 24, 2017 and they ripped, you need to track down your original receipt and fashion retailer to prove your purchase. If you don’t have your receipt, you can also provide a bank statement that shows the purchase and identifies the retailer. From here, take the receipt or bank statement and leggings back to your retailer, and that person will process your claim and shipping for free. Unfortunately, that doesn’t guarantee a refund just yet. The company did not specify how it will make this determination. But if LuLaRoe decides that the issue is its own fault and not yours, the ball is back in your fashion retailer’s court. The retailer will call or email you to let know your options. 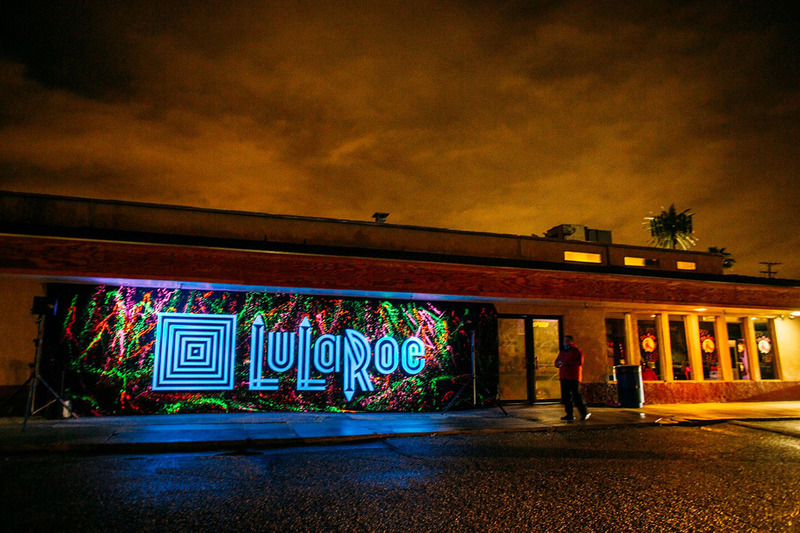 The company is offering exchanges, LuLaRoe gift cards and cash. Your retailer will cover the cost of getting your exchange or refund back to you. What if you can’t find your retailer, or they have since quit the LuLaRoe hustle? Contact LuLaRoe’s customer service, and it will help you find another retailer in your area to process your claim. If you’re hoping for a painless option that doesn’t require any human interaction, you’re out of luck. LuLaRoe’s website does say you can make a claim using an online form, but it seems to just lead you back to a fashion retailer who will make you go through the aforementioned process. The same goes for those who try to call the customer service line. Although the leggings seem to be what most people have problems with, this policy applies to all LuLaRoe clothing. And if you plan to return yours, be sure to do it by July 31. If you buy leggings or any other clothing from LuLaRoe in the future, the company’s new return policy will apply to you. What About the Class-Action Lawsuit? LuLaRoe did not address the pending lawsuit in its extensive new return policy explainer. Instead, the company simply said it wanted to “meet your expectations” and “restore the confidence you place in LuLaRoe” by selling quality clothing. As for the lawsuit, it’s still going through the court system. It’s not clear how the new policy will affect this process. Your Turn: Have you started the LuLaRoe return process? What has your experience been like? Desiree Stennett (@desi_stennett) is a staff writer at The Penny Hoarder. She doesn’t own any LuLaRoe leggings.